Along with being a summertime staple, the neighborhood lemonade stand also represents the classic image of young entrepreneurship. In today’s interconnected world, though, ambitious kids have even more options at their disposal if they want to run a business. And while selling lemonade is certainly a refreshing way to earn a dollar, some have turned their attention to a far less appetizing but still lucrative option: slime. This sticky substance has been fascinating young social media users for years. 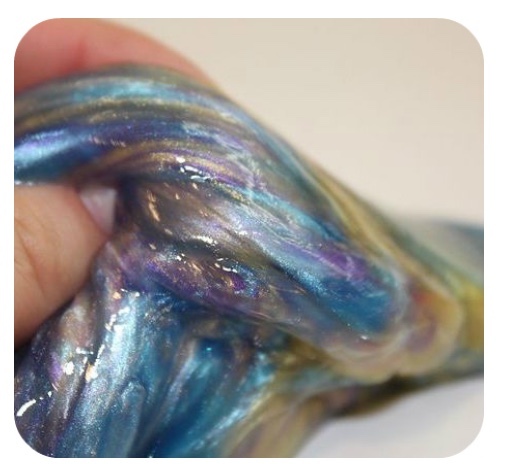 Unlike the green goo that the Nickelodeon network uses to drench unsuspecting stars, modern “slime” is mostly comprised of Elmer’s glue and can be made in a variety of textures. (Check out this video for some examples.) Tutorials can rack up millions of views as users learn how to make slime with glitter, food coloring, or even Cheetos. These videos then inspire kids like Goldie Bronson, a fifth grader from Los Angeles who has been selling slime to her schoolmates over the past few months. Goldie charges $5 for a regular sized order ($10 for a large) and asks each customer if they want their slime to be “fluffy or stretchy.” She’s also committed to fulfilling every order within one to two days. “It’s like Amazon Prime,” said Goldie. Other entrepreneurs sling their slime on sites like Etsy, where searches for the stuff have increased by 9000 percent since October. Many have credited this increased attention to Karina Garcia, a 23-year-old YouTube star and self-proclaimed Slime Queen. She began making slime videos in 2015 and quickly built a loyal following of millions of subscribers and fans. Although she doesn’t sell her creations online, Garcia earns six figures a month through sponsorships on her videos. Still, it’s possible that this audience could decline as the slime fad starts to fade. Nickelodeon’s ownership of various slime-related products and trademarks also makes the long-term outlook hard to determine. For now, though, slime provides a profitable venture for some and a good lesson in business for others. What can young entrepreneurs like Goldie Bronson learn about business from selling slime? What other products can young people sell to learn about business? Source: Claire Martin, “Feel the Noise: Homemade Slime Becomes Big Business,” The New York Times, June 23, 2017. Photo by Nataliatarkh.